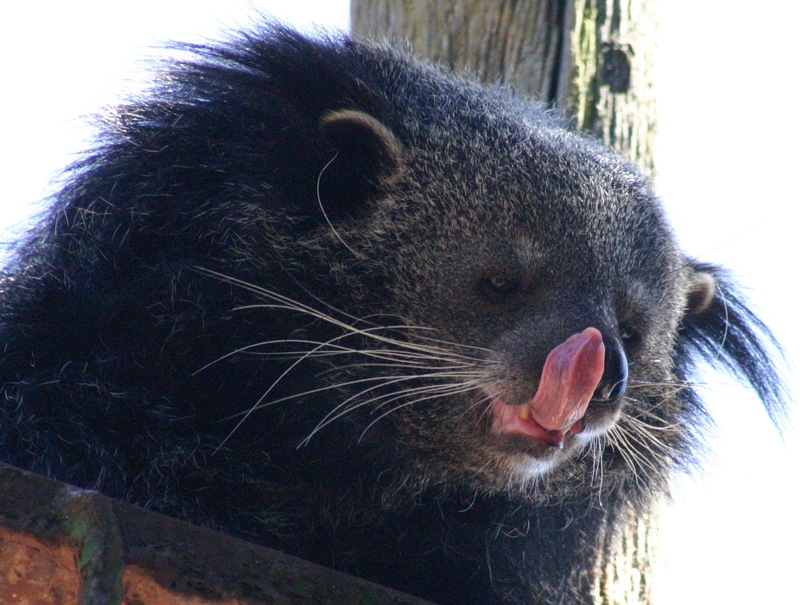 Known as the Bearcat, the Binturong is related to neither Bear or Cat. In fact, they are closely related to Civets and Fossas while residing in Southern and Southeastern parts of Asia. They are classified as vulnerable and are the only "Old World" mammal, and only one of two carnivores, to have a prehensive tail (a tail of an animal that has adapted to be able to grasp or hold objects). The other is known as Kinkajou. They are nocturnal creatures and spend most of their day sleeping in the forest canopy. With paws and legs dangling, their prehensive tail ensures their safety and grip remain (much like the Red Panda). 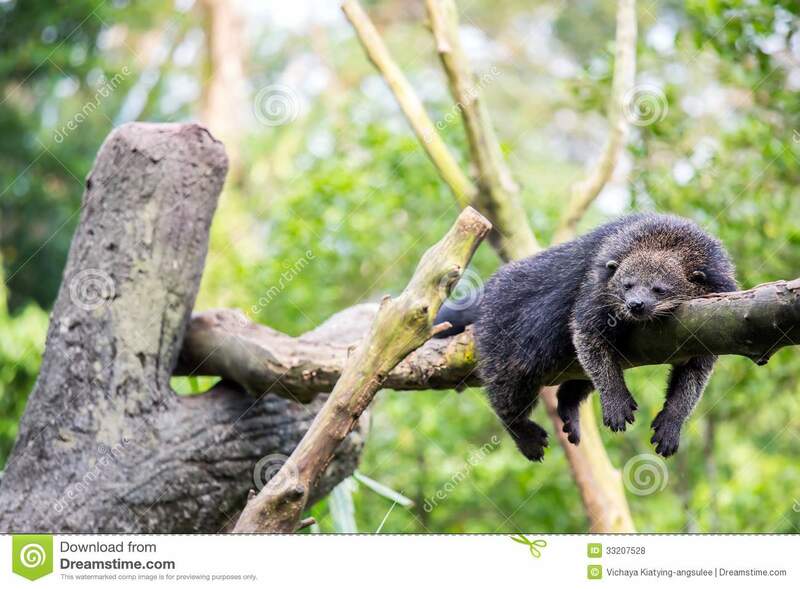 Their curved claws are ideal for hanging on to uneven surfaces in the Asian forests, while the padding on their paws help them manoeuvre along tree branches (on the ground, Binturongs walk flat footed just like bears). Another interesting feature of the Binturong is it's saliva - It has high quality antiseptic qualities (more so than any other animal). Scientific experiements were conducted and it showed that a Binturong's "lick" cured some wounds overnight, whereas a "non-licked" wound would take several days! Perhaps the strangest feature of all is the smell they give off - POPCORN! 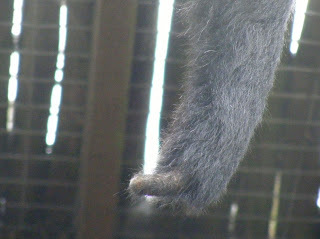 The scent glands which produce this smell are located underneath it's tail. When a Binturong drags it's tail, it marks out its terrority by leaving the prevailing scent behind on to branches and foliage alike. Come and have a wiff when you're next visiting our Binturongs!